MAYNARD -- Superintendent Robert Gerardi reports that preschool classes at Green Meadow Elementary School will be cancelled tomorrow, Monday, Feb. 4 for planning purposes. 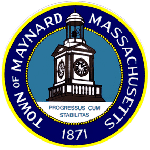 Maynard Public School announced on Friday that it would temporarily close a wing of the Green Meadow Elementary School for the remainder of the school year so that a licensed environmental contractor can completely remove old asbestos building materials. The wing, which holds preschool and kindergarten classes, was originally slated to close over February vacation. However, after receiving feedback from parents and the community, the district made the decision to close the wing immediately. Work will still begin over February break and continue through the summer. "We appreciate the feedback we received from our preschool and kindergarten families, and in hearing their concerns, we felt the most prudent course of action was to shut down the wing immediately," Superintendent Gerardi said. "Closing the preschool tomorrow will allow faculty and staff to facilitate the move to a new location in the building for the remainder of the year." Kindergarten students and staff will report to school tomorrow and will be relocated into existing rooms temporarily until a long-term plan is established. While classes will be moved to other parts of the building, including the gymnasium, the district is not currently considering moving students to other buildings.